Top sports people keep records of their trophies, awards and other notable achievements. After all the saying that “it is not what you have done, but what you have achieved that counts” is true. Accomplishment stories are a powerful testament to a person’s value and worth in the workplace, and it does not necessarily revolve around official recognition or awards. Otherwise, 90% of the workforce would have no achievements. People often say that they just go to work and do their job and that they have never done anything of note. Think about it, and why you have been employed and not asked to move on. It’s because others recognised and valued your contributions. Think about the time you suggested to your manager that a simple change in procedure could make the task more productive. Perhaps you worked on a weekend to get a submission finalised for a large project. 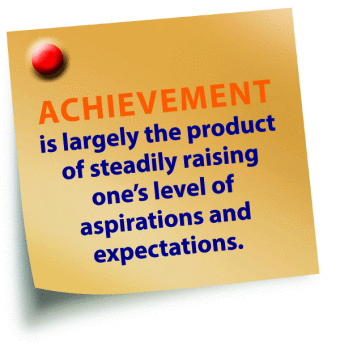 There are numerous examples in EVERY PERSON’S career to build great accomplishment stories around. Do be shy, concisely write it down and give yourself a “pat on the back” because YOU DID IT! Accomplishment stories are compelling real life examples of your contribution to your employer or perhaps local community. Reflect on times when you felt triumphal about an outcome that you achieved (and not necessarily congratulated on). Examine your heart and you will find many examples of when you made an outstanding contribution. Now write a dissertation summarising the “how, when and why” of the event and the excellent outcome that you produced. Well done, you now have your first accomplishment story. Accomplishment stories are a great tool to use when you are chasing that next promotion, salary increase or looking for your next career opportunity because they clearly validate your value and worth by actual example. It is recommended that everyone has, at least, six accomplishment stories ready at any given time, and to keep building your portfolio of stories as your career develops. They are potentially invaluable to any career oriented person. Last, but not least memorise your accomplishment stories to the extent that you can confidently explain to another person what you have done and achieved throughout your career.